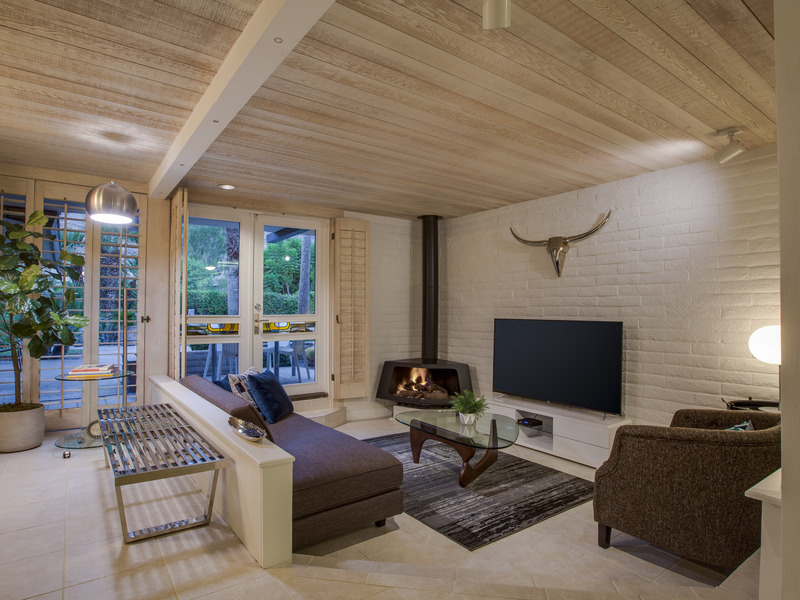 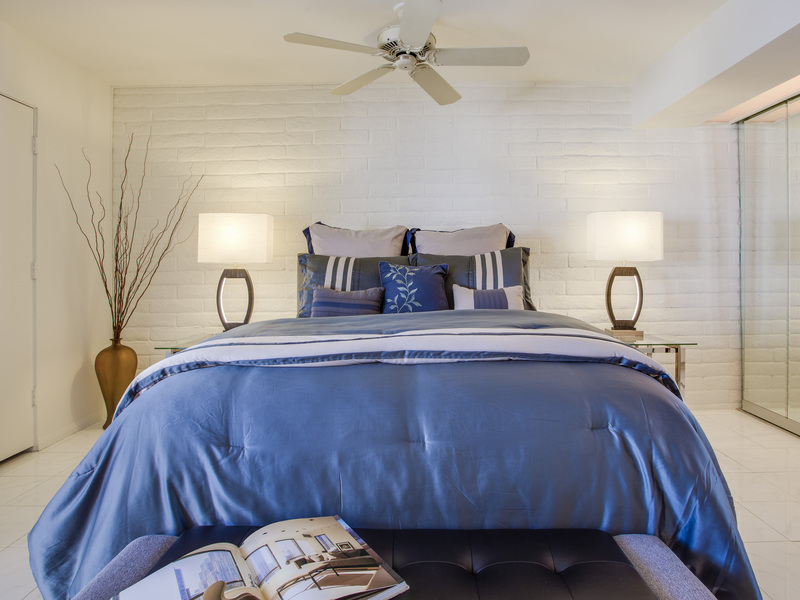 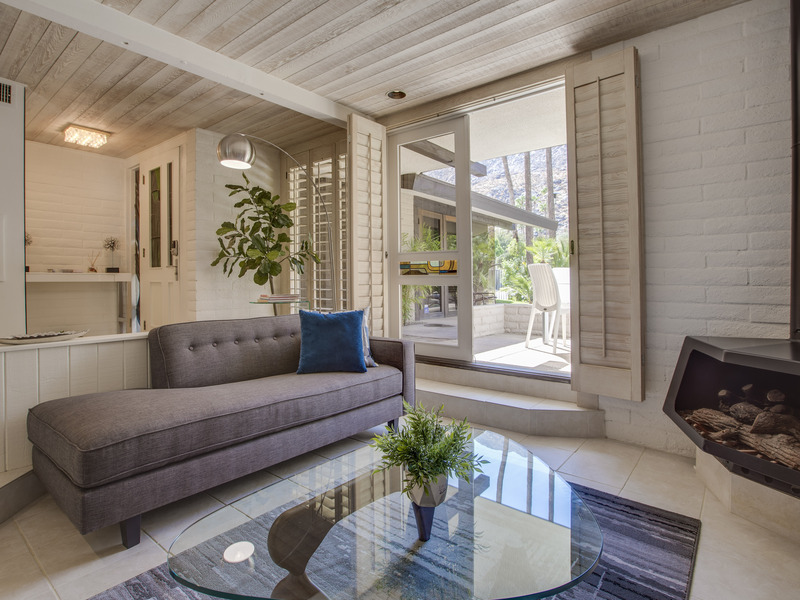 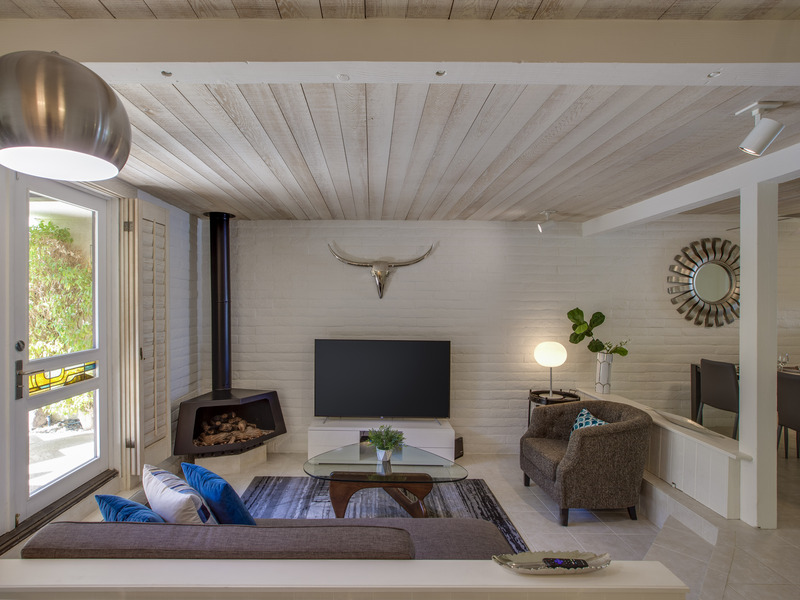 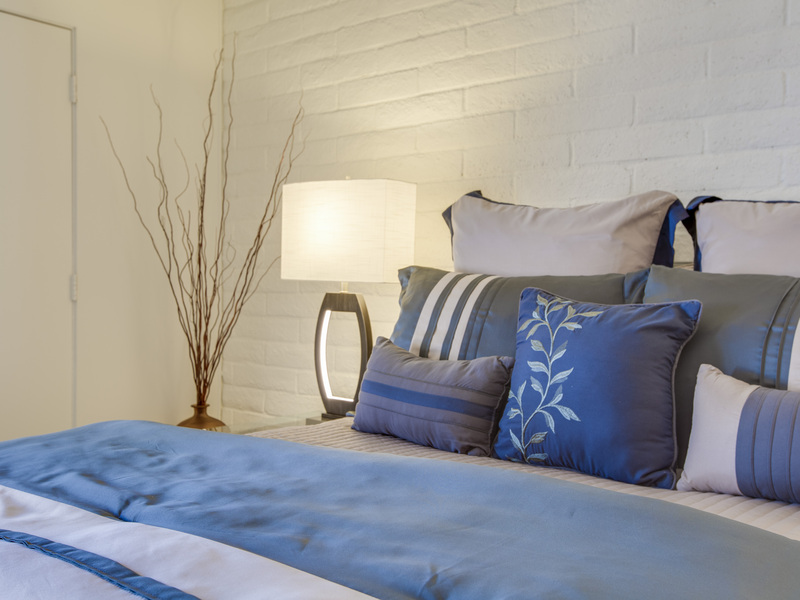 Swank and stylish Villa in the heart of Downtown Palm Springs. 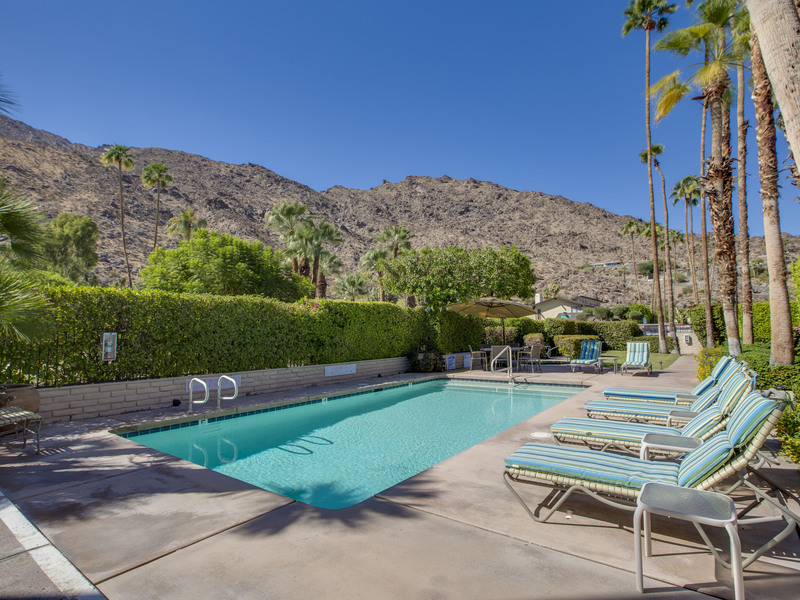 Intimate private gated community where the emphasis is on relaxing in the sunshine and completely immersing yourself in everything Palm Springs. 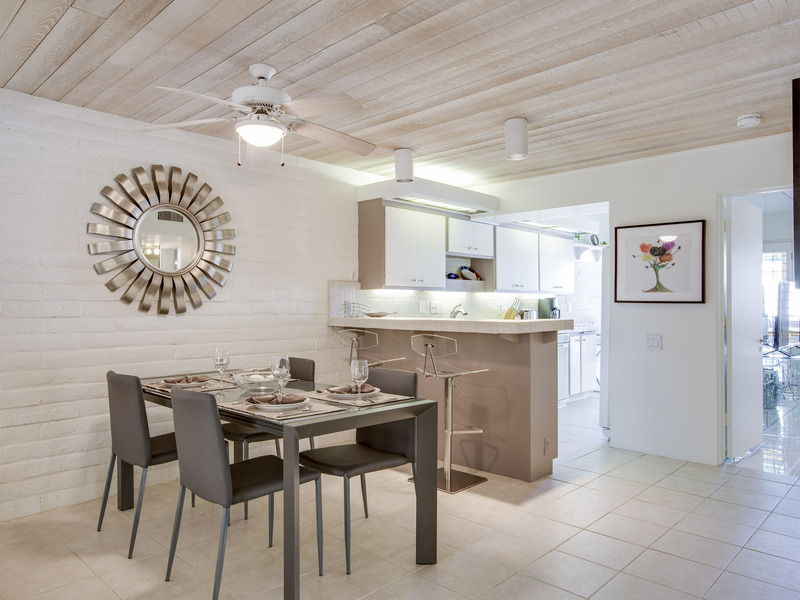 This is a very special condominium - nestled in a quiet complex with gorgeous gardens. 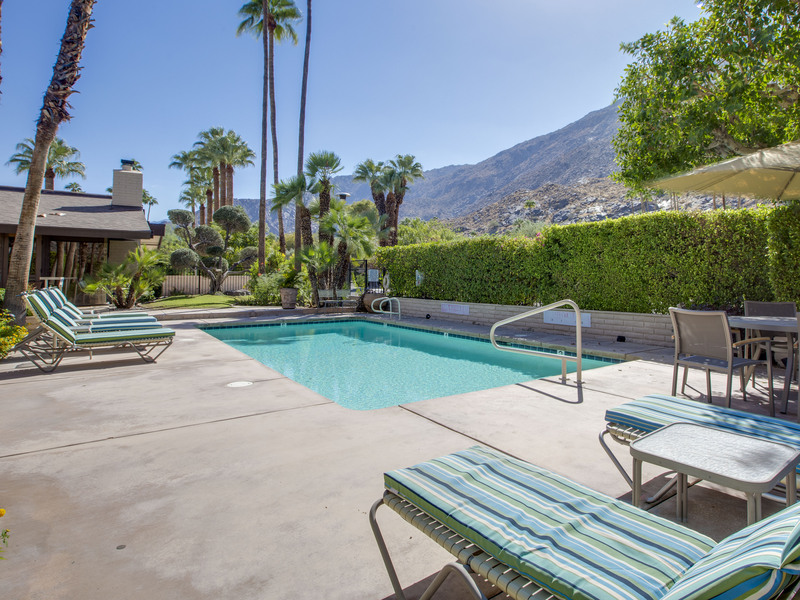 You'll be just two short blocks off the world famous Palm Canyon Drive. 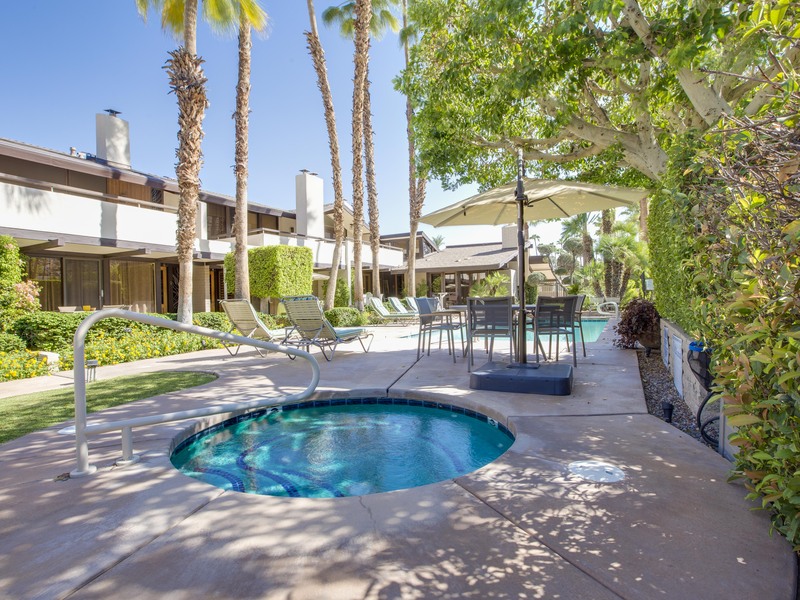 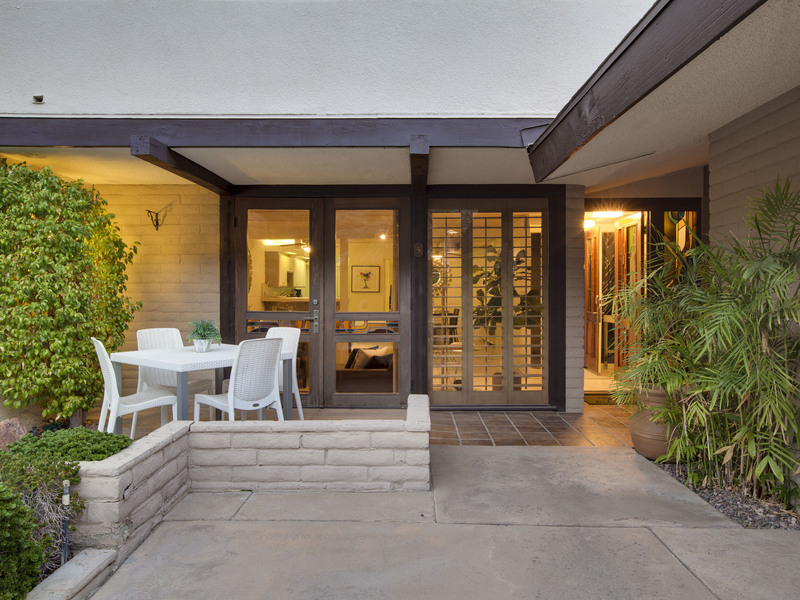 This is a walking neighborhood where you will be surrounded by prominent estates, private homes, impressive resorts, boutique inns, and other iconic Palm Springs properties. 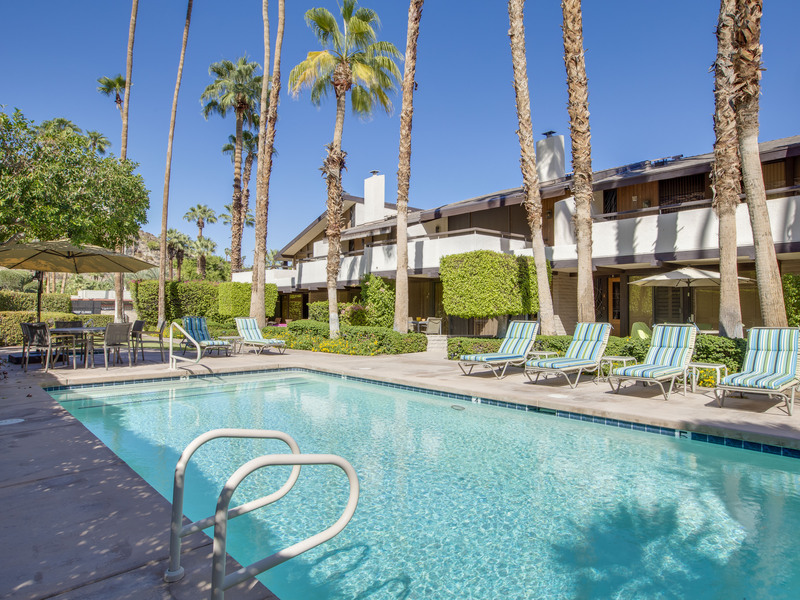 This Tennis Club Hideaway is steeped in Palm Springs History and classic 1950s style. 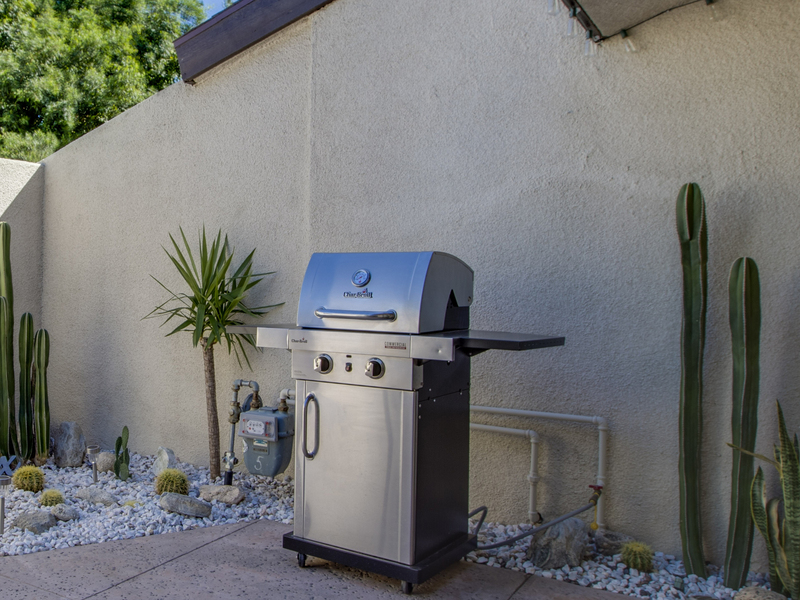 It just doesn't get better than this. 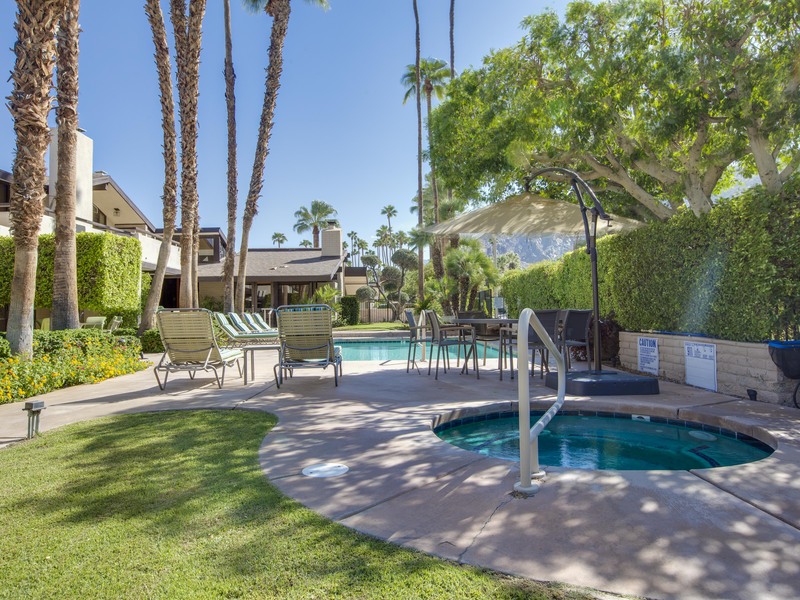 Once inside the gates of this exclusive resort-style community, you'll know you made the right choice. 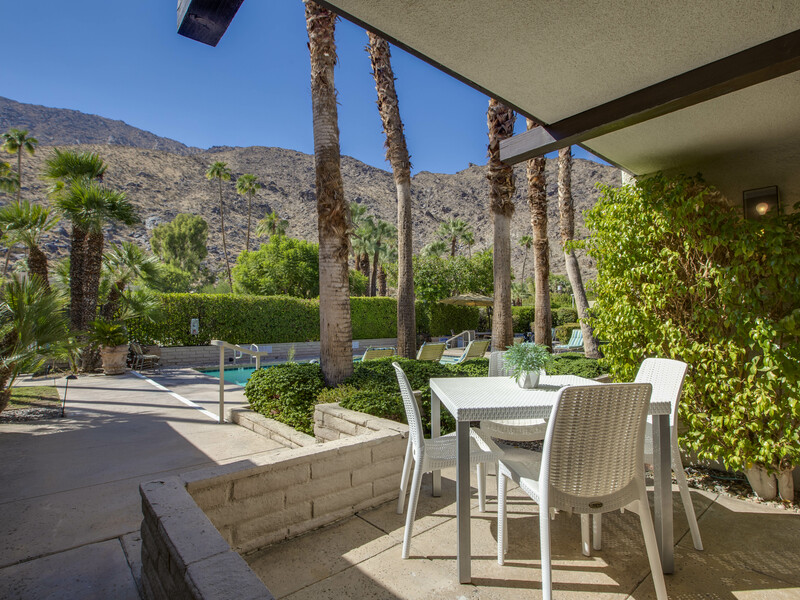 Guests choose this Tennis Club Hideaway for the quiet relaxing vibe, the fabulous location and the iconic midcentury architecture. 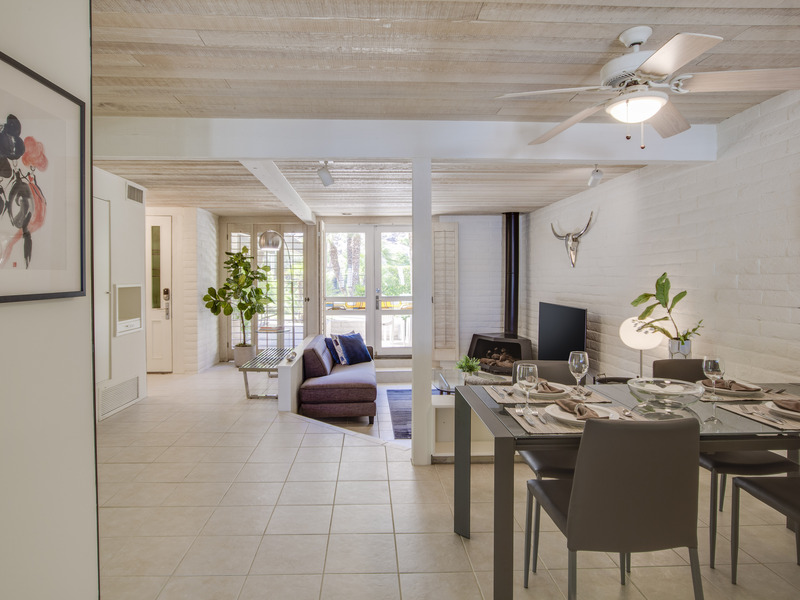 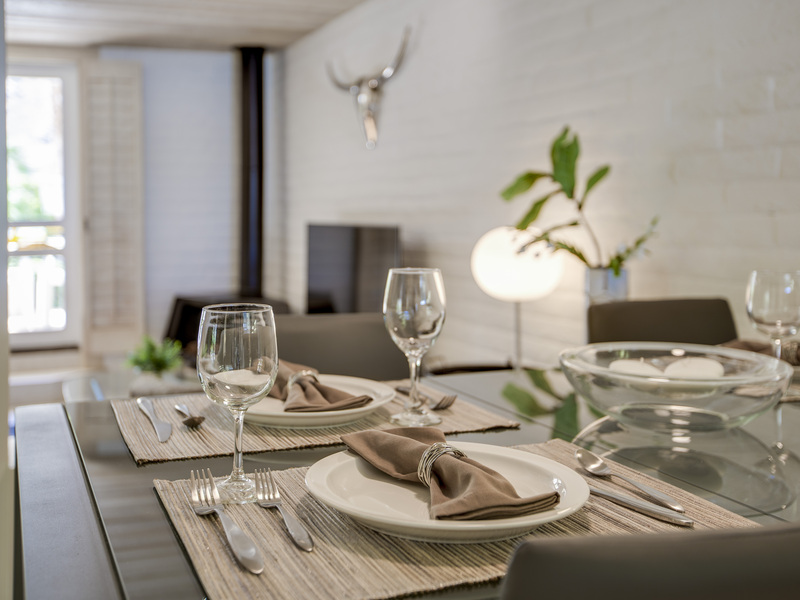 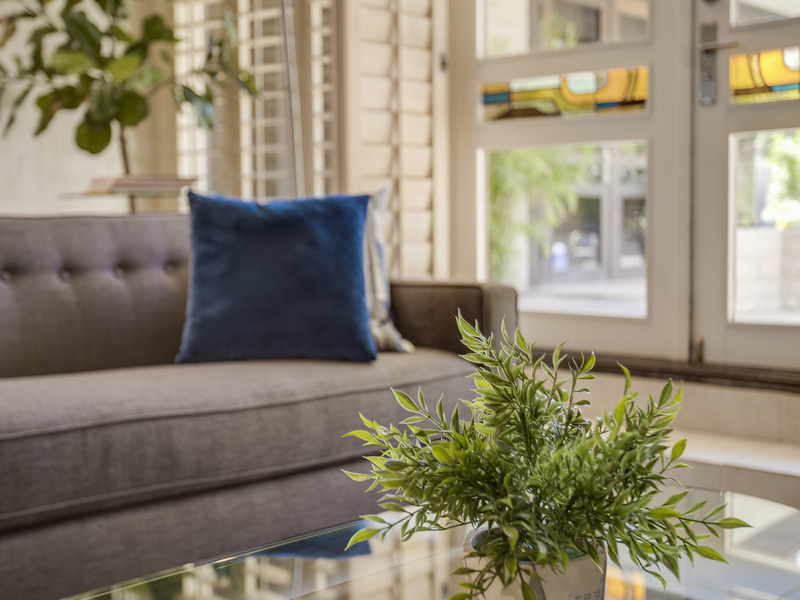 Inside you will find this home has been perfectly space planned for comfortable month-long and seasonal stays. 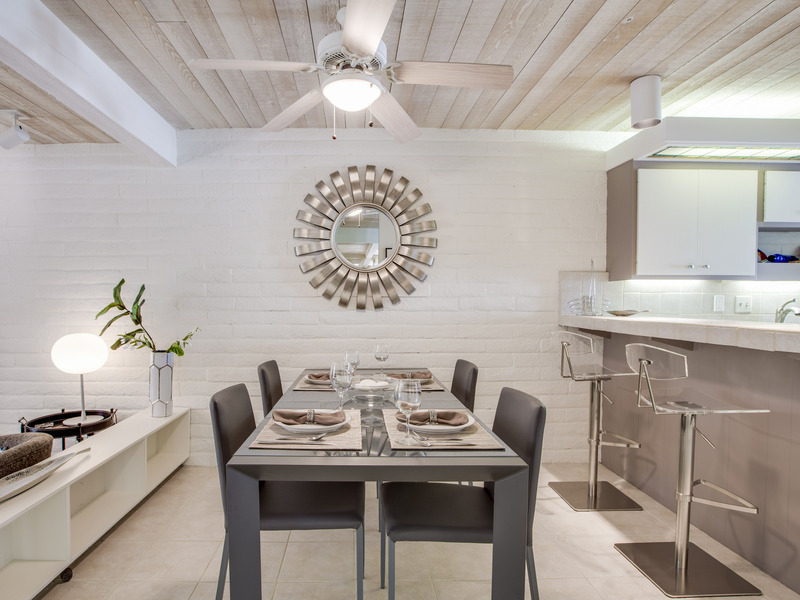 The well stocked kitchen, dedicated dining space for 4-6, and sunken living room are layed out to feel much larger than the 980 square feet that it is. 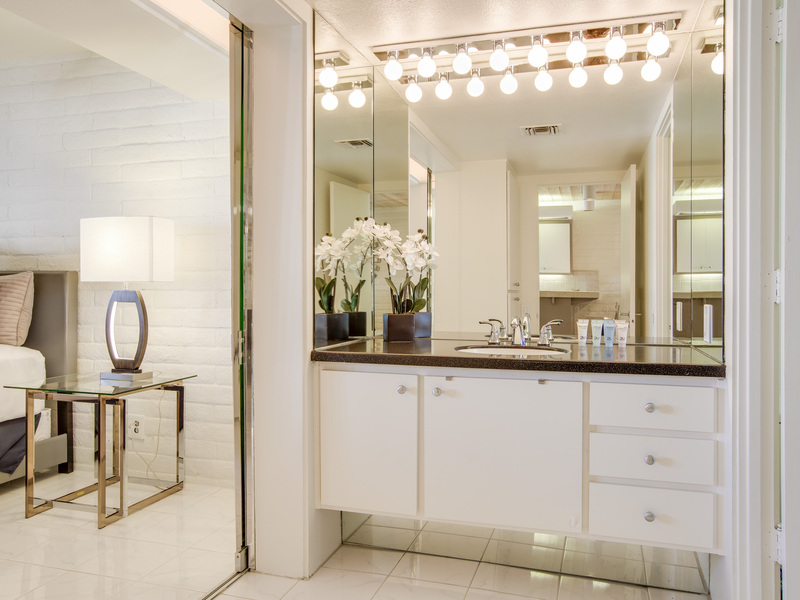 The Bedroom Suite is large with plenty of closet space and an ensuite bath. 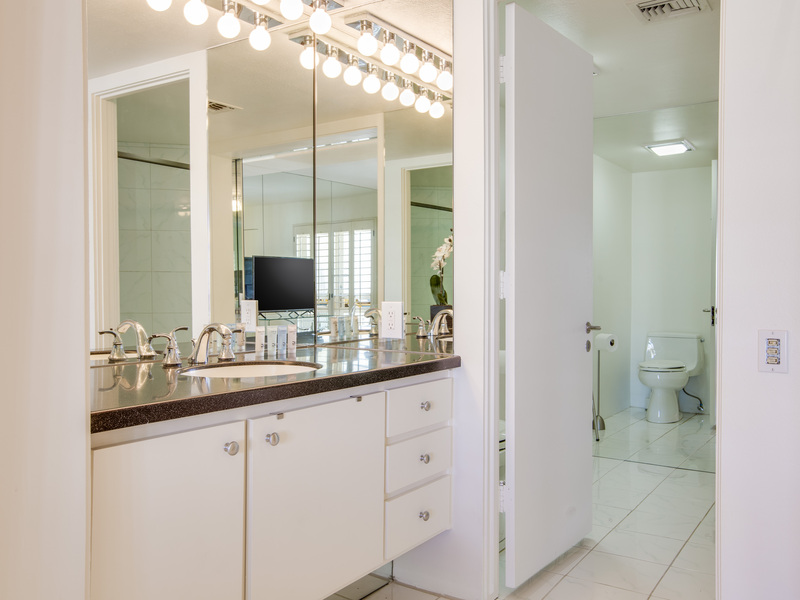 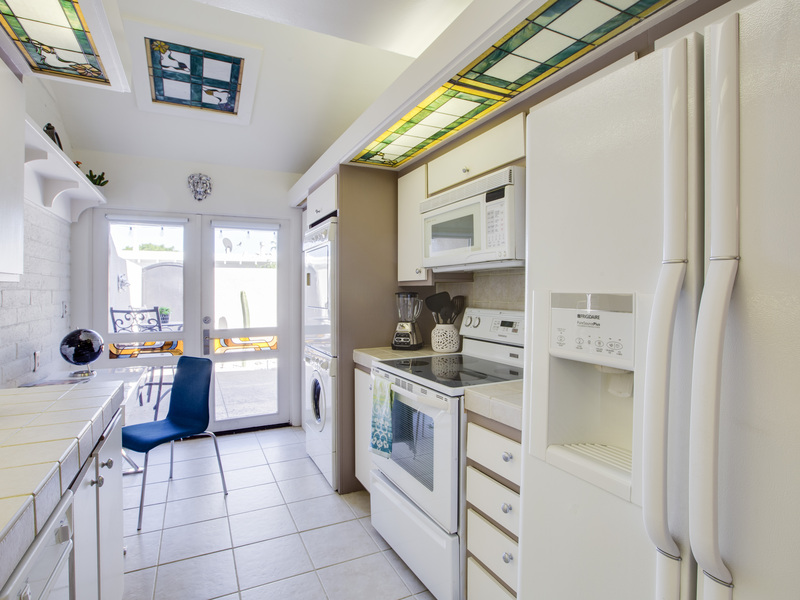 The home has been equipped with a washer & dryer, two Smart Televisions, premium cable service and hi speed internet access. 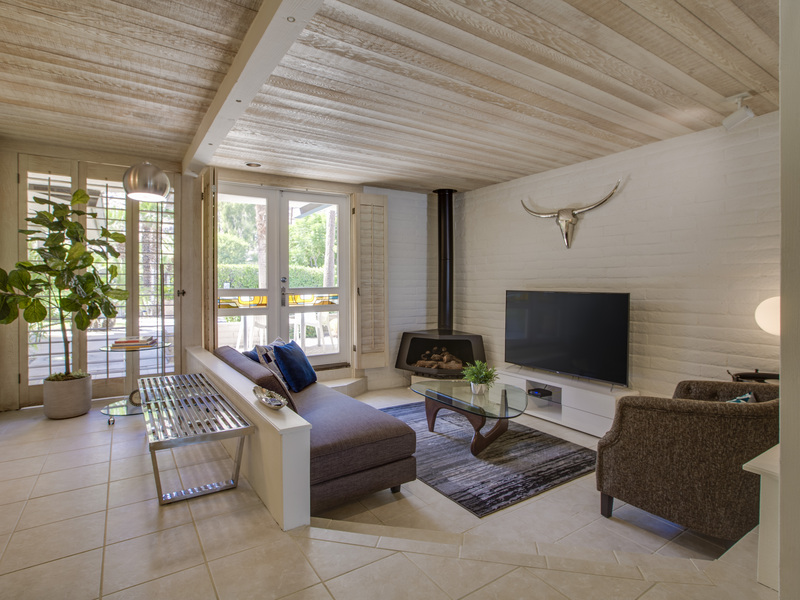 This Tennis Club Hideaway blurs the lines between indoor and outdoor living. 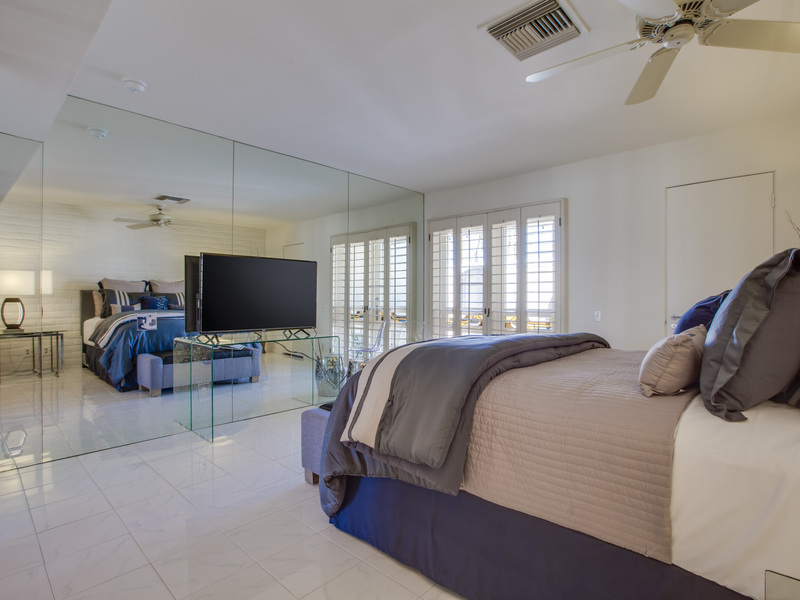 Walls of glass open up to the private court yard on one side of the home and to the beautiful poolside gardens on the other. 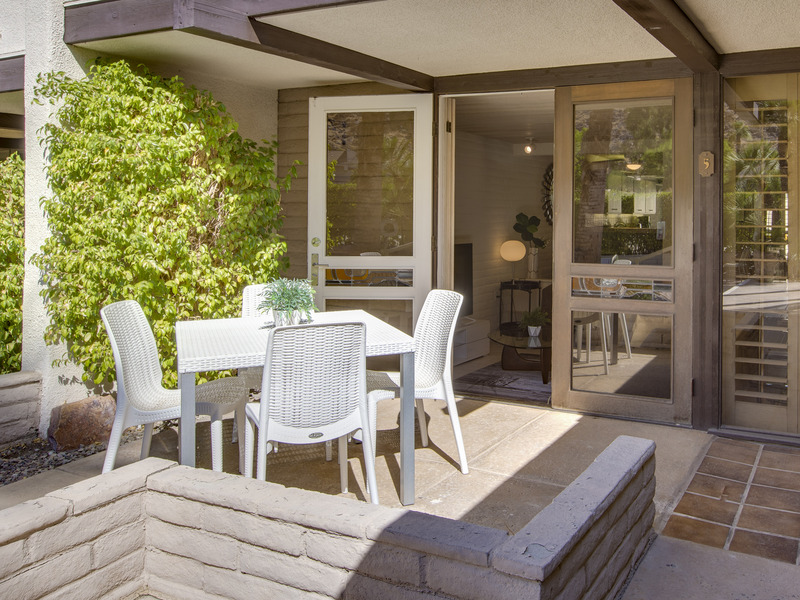 The quiet community is home to a combination of full-time and seasonal residents who value the quiet and friendly lifestyle.